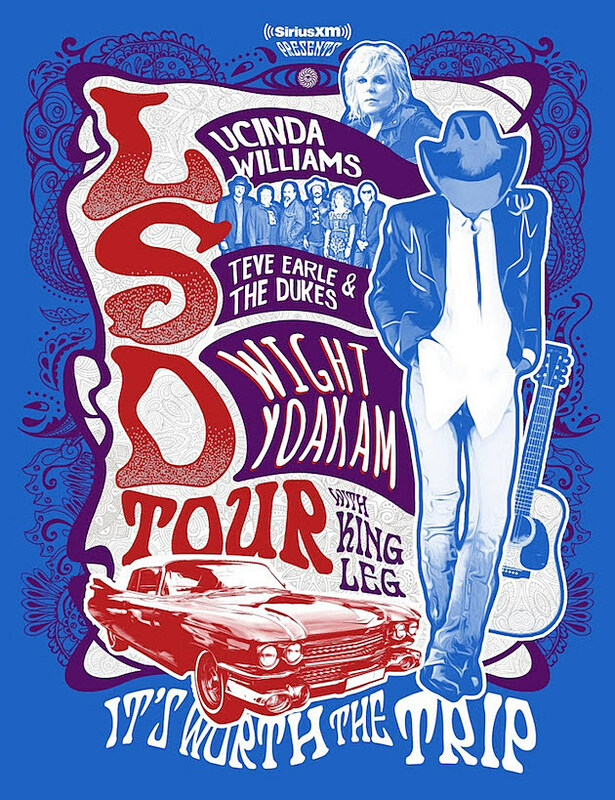 Lucinda Williams, Steve Earle & The Dukes and Dwight Yoakam are joining forces this summer for the “LSD Tour” which they say will be “worth the trip.” The tour, which also features opener King Leg, is presented by SiriusXM who will launch a new station in late April called “Dwight Yoakam and The Bakersfield Beat” which explores the Bakersfield, CA sound — which put a rock n’ roll backbeat to country — that was a big influence on Yoakam. The tour includes a show at NYC’s Beacon Theatre on June 13 and Bethel, NY’s Bethel Woods Center for the Arts on June 15. Tickets for both those NY shows and the whole tour go on sale Friday, March 30 at 10 AM local time, with presales starting Monday (3/26) at 10 AM local time. Lucinda Williams released a rerecorded version of her debut album, This Sweet Old World, in 2017; Steve Earle & The Dukes released So You Wannabe an Outlaw last year; Dwight Yoakam’s most recent album was 2016’s Swimmin’ Pools, Movie Stars. Streams of all three, plus all “LSD Tour” dates, below.